Beautiful prefab viewpoints have popped up in one of the most important wetland landscapes in Baja California, Mexico. 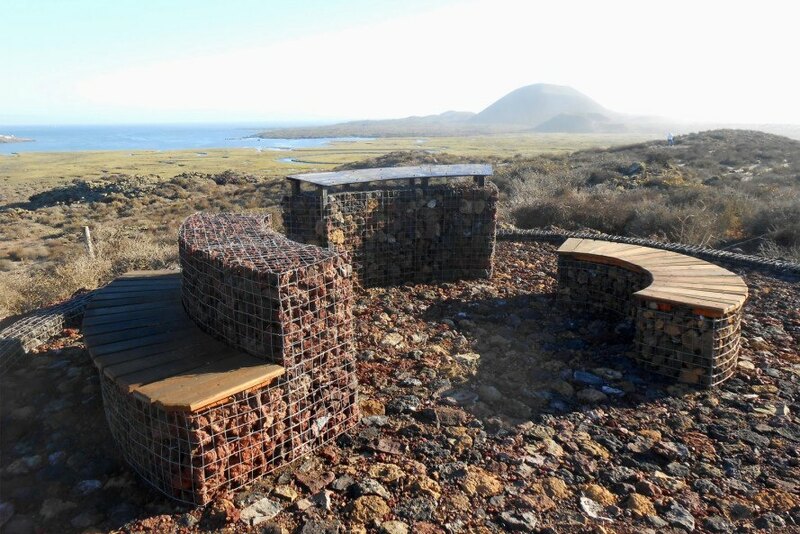 In a bid to boost conservation efforts at the San Quintin bay, Escala Arquitectura collaborated with graphic design studio Taller Ciruela to install two site-sensitive viewing stations that overlook the region’s spectacular scenery. The structures were carefully designed to minimize visual and physical impact on the landscape. The San Quintin bay is rich in a variety of habitats including dunes, creeks, marshes, and inland ecosystems. The architects selected two important points within the bay for the placement of the viewpoints: “La ola” at the Punta Mazo sand bar and “Valle volcánico” at the gateway of the La Chorera community. “When designing these two stations where architecture and graphic design complement each other [we] tried to achieve an equilibrium between an outstanding design and a minimalist structure that would produce little visual impact, allowing the landscape the protagonist role,” wrote the designers. 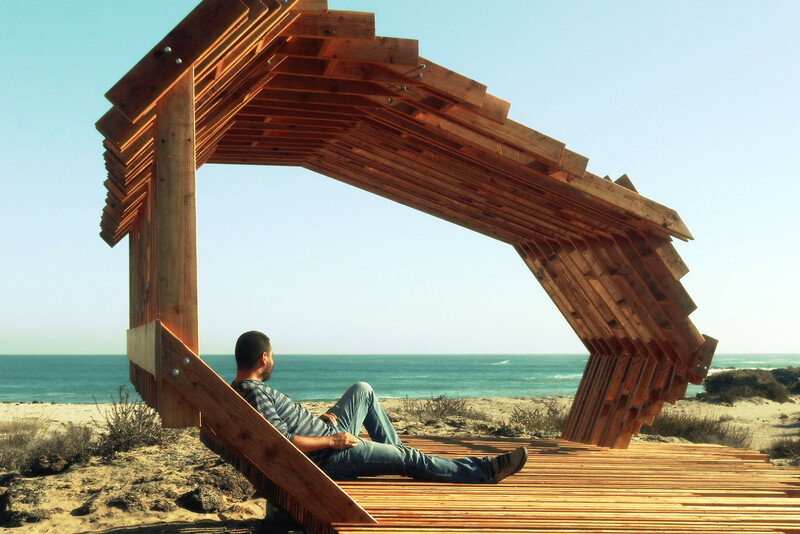 The more sculptural “La ola” prefab viewpoint was constructed from timber with metal joints and screws that allow for easy assembly and disassembly. The structure is raised off the ground so that no plants would have to be removed during installation. In contrast, the more demure “Valle volcánico” is built with gabion walls filled with red, yellow, and black stones locally sourced from different volcanoes. Surrounded by eight of the region’s highest dormant volcanoes, the viewpoint takes on a radial plan informed by the location of the landforms. “When designing these two stations where architecture and graphic design complement each other [we] tried to achieve an equilibrium between an outstanding design and a minimalist structure that would produce little visual impact, allowing the landscape the protagonist role,” wrote the designers. The architects selected two important points within the bay for the placement of the viewpoints: “La ola” at the Punta Mazo sand bar and “Valle volcánico” at the gateway of the La Chorera community. The more sculptural “La ola” prefab viewpoint was constructed from timber with metal joints and screws that allow for easy assembly and disassembly. The structure is raised off the ground so that no plants would have to be removed during installation. In contrast, the more demure “Valle volcánico” is built with gabion walls filled with red, yellow, and black stones locally sourced from different volcanoes. Surrounded by eight of the region’s highest dormant volcanoes, the viewpoint takes on a radial plan informed by the location of the landforms.